It is now the year 2010. Looking back at my childhood, I recall how excited I was about this year. In the 1980s, the year 2010 was envision as the beginning of brilliant era of manned space exploration and scientific discovery. We would have numerous orbiting space stations, a permanent manned base on the Moon, and would be in the process of launching manned expeditions to Mars. Humanity, at long last, would take the first intrepid steps on that magnificent journey that would one day carry us to the stars. Yet, here we are in the year 2010 and these once ambitious dreams now seem hopelessly lost. I blame politics. I do not write about politics or my own political views, mainly because I just don’t like politics, but I am going to say a few things on the matter. It was my hope that our current president, Obama, would be a progressive, pro-science president. And in many respects, he is. However, it has become increasingly apparent that he has no intention of furthering the development of NASA’s manned space program. NASA’s return to the moon initiative (the Constellation program) has been, or at least soon will be, completely scuttled (see the article on Space.com). Former NASA administrator, Mike Griffin, says that Obama’s policy will cause our nation to “take a backward step in space” (see the full article at Discovery.com). To make matters even worse, the Space Shuttle will be retired as of September or October of 2010 and there is no alternative manned space vehicle to take its place. The Orion program, which was supposed to replace the Space Shuttle, is no where near ready to go, and won’t be until 2016 or so. 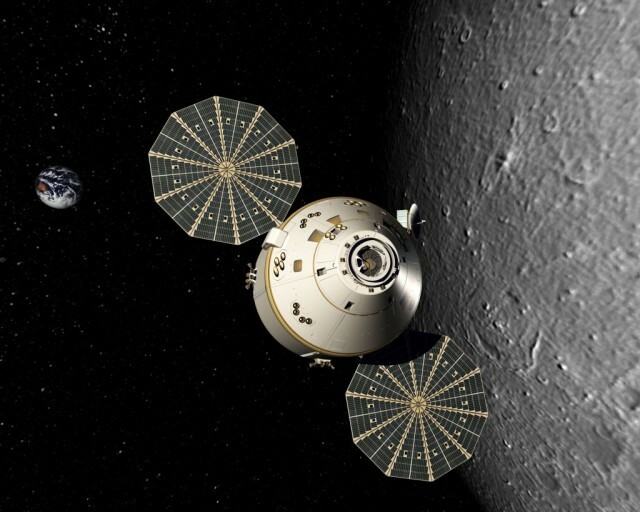 However, it is now beginning to look like Orion may get axed as well, leaving NASA with no manned space vehicle, no plan to return to the Moon, no plan to go to Mars, and a manned space flight program which is all but dead. And none of this is NASA’s fault — it’s politics. Ugly, stupid politics. For the past 40 years, the United States of America has stood as the leader in space development, exploration, and science. As things are now, Russia, China, and India will probably surpass the US by 2020. China already has an initiative to put a man on the Moon by 2020 (or the early 2020s), and both Russia and India also seem to be targeting the 2020s for a manned moon mission as well. With NASA’s Constellation program scuttled, America will no long be a leader in space, and not even a follower in space, but will simply have nothing to do with manned space exploration whatsoever. Dumb. Really, really dumb. What then is the future of manned space flight? In theory, China, Russia, India, or the ESA could take the lead, and one of them might well be able to land a man on the Moon in the 2020s… a staggering 60+ years after the NASA landed two men on the Moon. That’s 60 years. Think about where aviation was 60 years after the Wright brother’s first flight — that should put a few things into perspective. Had we never left the moon we would by now have a fully operational manned base on the lunar surface, would have launched manned missions to Mars and the asteroid belt, and might even be close to building a biosphere habitat on Mars. Some days I wish I could switch to one of those parallel universes where these events did transpire. But there is hope, and I firmly believe that hope lines not in government space initiatives, but in the private sector. After all, the biggest motivation for human beings has always been greed. Without a doubt, space is the place to go if you’re looking for an abundance of exotic resources, infinite growth potential, and, well, limitless available space. The Obama administration will be looking to private space launch companies to transport astronauts to and from the International Space Station beginning in 2011 (see this New York Times article for details). But that is not all. The ambitiously named Virgin Galactic (I wonder if they’ll add the word “Empire” to that a couple hundred years…) has begun construction of Spaceport America in White Sands New Mexico, with plans to begin ferrying space tourists to short excursions into Low Earth Orbit by 2012. At the present time, space tourism is a luxury that can only be enjoyed by the wealthy, but even so, by 2020 space tourism will likely be raking in billions of dollars a year. As time goes on, it will become evermore apparent that space tourism is a massive money making opportunity, and those who get their first (such as Virgin Galactic and perhaps SpaceX) stand to make incredible fortunes. Looking beyond space tourism, I believe the future of space development lies in tapping the abundant natural resources that can be found in our solar system. The value of natural resources that exist on the Moon, Mars, the asteroid belt, to say nothing of chemically exotic moons such as Io and Titan, are unimaginable. We now know the Moon is rich in the isotope helium-3, which is extremely rare on Earth and may be the key to sustainable nuclear fusion. The potential economic value of helium-3 mining: well, I have no idea, but how much is the value of Earth’s entire energy economy worth? Asteroids also hold enormous value. If captured and mined, a single 5 kilometer diameter iron-core asteroid could, by itself, yield more iron that has ever been mined on Earth in all of human history: that’s trillions of dollars with just one asteroid. And iron is not the only element found in asteroids. Many asteroids contain such valuable metals as iridium, platinum, palladium, ytterbium, neodymium, praseodymium, and other impossible to pronounce, sci-fi sounding elements. According to the asteroid composition table, a 1 million metric ton C-type asteroid (a smallish low-iron asteroid) can yield over $1 billion worth in raw material. Keep in mind that a 1 kilometer diameter C-type asteroid has a mass of about 2 billion tons. Thus, a single such asteroid could potentially contain $2 trillion in metal resources. Even if it took 50 years to mine the asteroid, that’s still over $40 billion a year in asteroid mining revenue. Some might be tempted to say that getting a manned spacecraft to an asteroid and setting up a viable mining operation is impossible. To them I say “humbug!”. Of course it is possible. I am not necessarily saying how long it might be before there is a viable asteroid mining operating, or one on the Moon or Mars for that matter, but barring some global catastrophe it is an inevitability. In fact, with ever diminishing resources on Earth, I think it is a necessity. For example, everyone is worried about the impending energy crisis and how we are all going to run out of fuel in the next 100 years. My answer to that is “mine Titan!”. Titan probably has hundreds of quadrillions of barrels of viable hydrocarbons just sitting there on the surface in vast lakes and oceans, all for the taking! But what companies might be able to afford such a daunting endeavor as mining on Titan? Exxon made $440 billion in revenue 2009, and $45 billion in profit. If they just put 5% of that revenue (50% of all profits, granted…) every year to a space program with the intended purpose of mining Titan for fuel, they would effectively have a $22 billion commercial space program, which is $4 billion more than NASA’s 2010 budget ($18 billion). Come on Exxon — stop poking holes in the ground and go where the real money is. Go to Titan. Don’t get me wrong. I’m not saying that strip mining other planets and exploiting their resources is necessarily a good thing. However, I do believe it is less bad to exploit planets that do not have a living ecosphere than it is to exploit planets (such as Earth) that do have a living ecosphere . Harnessing (perhaps a better world than exploiting) the abundant resources of our solar system will be necessarily to further the advancement of human civilization, and it is preferable to obtain those resources from lifeless moons, asteroids, and planets than it is from Earth. If we do find some form of life, even if just microbes, on Mars or Europa, those planets (and moons) should be left alone in terms of large scale mining. Lifeless planets should be thoroughly surveyed for scientific study, and mined for resources in a controlled and regulated manner that preserves “scientifically interesting” features and any substantially unique geology. But all of this, of course, is a moot point if no one dares to take that first step. I believe a commercial space venture, perhaps a joint venture between several large mining, oil and gas, and technology companies (for example, ExxonMobil, Royal Dutch Shell, BHP Billiton, and General Electric, the world’s single largest company), is viable by the late 2030s or 2040s. I for one hope it will happen. Right now, the commercialization of space looks to be the only way of sustaining a manned presence anywhere beyond the confines of Earth’s gravity well.